Some of my favorite books on Stoicism, the classics, modern stuff, and a bit of relevant background history. A Handbook for New Stoics: How to Thrive in a World Out of Your Control, by Massimo Pigliucci and Gregory Lopez. An ancient belief system made new, Stoicism teaches us how to accept the things we cannot change and how to live a good life. It helps us improve our outlook, increase our wellbeing, and thrive in the face of adversity. But how does one live like a Stoic? In A Handbook for New Stoics, renowned philosopher Massimo Pigliucci and practitioner Gregory Lopez guide readers through 52 weekly lessons, each based on a common obstacle. Stressing out about a meeting at work? Try listing the things you can control and those you can’t. Epictetus writes: “In our power are thought, impulse, will to get, and will to avoid”—in other words, our own attitudes. Discover what you can control, and quickly achieve peace of mind. Featuring quotes from philosophers, analysis by the authors, and journaling activities, these lessons enable readers to reframe their perceptions and be happier. 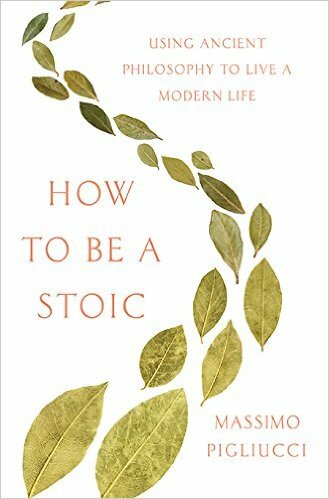 How to Be a Stoic: Using Ancient Philosophy to Live a Modern Life, by Massimo Pigliucci. Whenever we worry about what to eat, how to love, or simply how to be happy, we are worrying about how to lead a good life. No goal is more elusive. In How to Be a Stoic, I offer Stoicism, the ancient philosophy that inspired the great emperor Marcus Aurelius, as the best way to attain it. Stoicism is a pragmatic philosophy that teaches us to act depending on what is within our control and separate things worth getting upset about from those that are not. By understanding Stoicism, we can learn to answer crucial questions: Should we get married or divorced? How should we bank in a world nearly destroyed by a financial crisis? How can we survive great personal tragedy? Whoever you are, Stoicism has something for you — and How to Be a Stoic is your essential guide, featuring an ongoing conversation with the ancient slave-turned-teacher Epictetus. 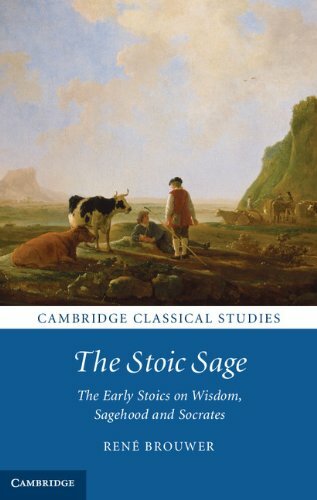 The Cambridge Companion to the Stoics, edited by Brad Inwood. 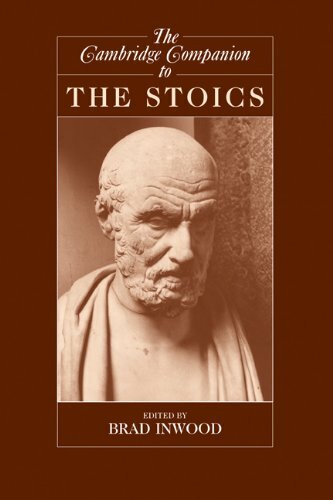 This unique volume offers an odyssey through the ideas of the Stoics in three particular ways: first, through the historical trajectory of the school itself and its influence; second, through the recovery of the history of Stoic thought; third, through the ongoing confrontation with Stoicism, showing how it refines philosophical traditions, challenges the imagination, and ultimately defines the kind of life one chooses to lead. 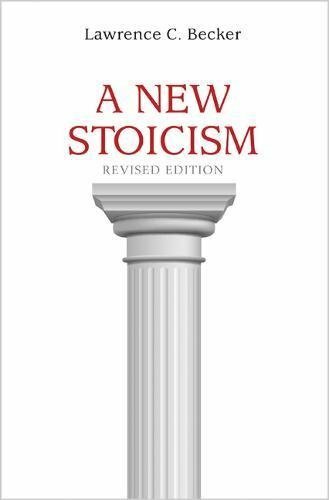 A New Stoicism (new edition), by Lawrence C. Becker. What would Stoic ethics be like today if stoicism had survived as a systematic approach to ethical theory, if it had coped successfully with the challenges of modern philosophy and experimental science? A New Stoicism proposes an answer to that question, offered from within the Stoic tradition but without the metaphysical and psychological assumptions that modern philosophy and science have abandoned. Lawrence Becker argues that a secular version of the Stoic ethical project, based on contemporary cosmology and developmental psychology, provides the basis for a sophisticated form of ethical naturalism, in which virtually all the hard doctrines of the ancient Stoics can be clearly restated and defended. A Guide to the Good Life: The Ancient Art of Stoic Joy, by William B. Irvine. One of the great fears many of us face is that despite all our effort and striving, we will discover at the end that we have wasted our life. In A Guide to the Good Life, William B. Irvine plumbs the wisdom of Stoic philosophy, one of the most popular and successful schools of thought in ancient Rome, and shows how its insight and advice are still remarkably applicable to modern lives. 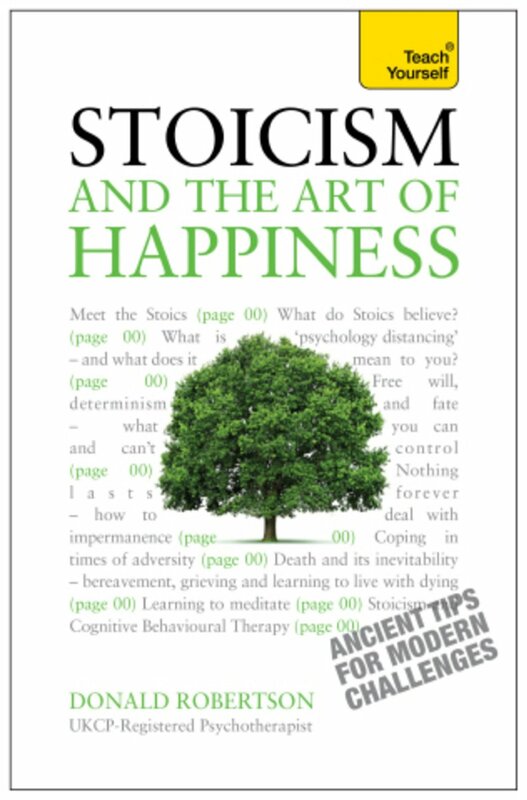 Stoicism and the Art of Happiness – Ancient Tips For Modern Challenges, by Donald Robertson. This new guide to finding a happier way of life draws on the ancient wisdom of the stoics to reveal lasting truths and proven strategies for enhanced wellbeing. By learning what stoicism is, you can revolutionise your life, learning how to – properly – ‘seize the day’, how to cope in the face of adversity, and how to come to terms with whatever situation you’re in. 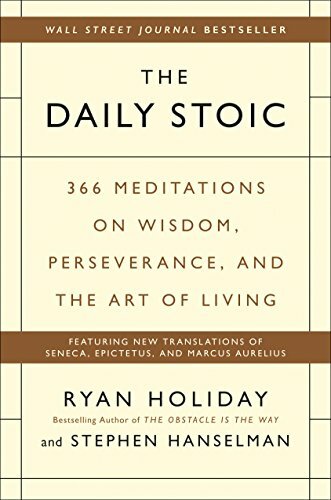 The Daily Stoic: 366 Meditations on Wisdom, Perseverance, and the Art of Living, by Ryan Holiday and Stephen Hanselman. Why have history’s greatest minds—from George Washington to Frederick the Great to Ralph Waldo Emerson, along with today’s top performers from Super Bowl-winning football coaches to CEOs and celebrities—embraced the wisdom of the ancient Stoics? Because they realize that the most valuable wisdom is timeless and that philosophy is for living a better life, not a classroom exercise. The Daily Stoic offers 366 days of Stoic insights and exercises, featuring all-new translations from the Emperor Marcus Aurelius, the playwright Seneca, or slave-turned-philosopher Epictetus, as well as lesser-known luminaries like Zeno, Cleanthes, and Musonius Rufus. Every day of the year you’ll find one of their pithy, powerful quotations, as well as historical anecdotes, provocative commentary, and a helpful glossary of Greek terms. 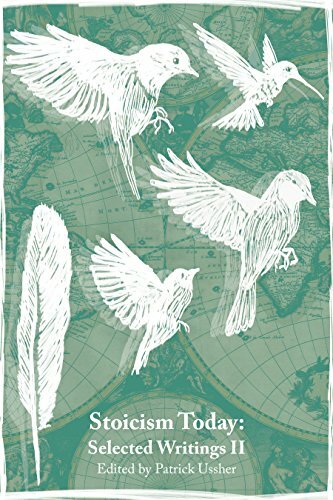 Stoicism Today-II, edited by Patrick Ussher. Stoicism, the classical philosophy as a way of life practised by the Greeks and Romans, continues to resonate in the modern world. With over forty essays and reflections, this book is simultaneously a guide to practising Stoicism in your own life and to all the different aspects of the modern Stoic revival. You will learn about Stoic practical wisdom, virtue, how to relate wisely to others and the nature of Stoic joy. You will read of life-stories by those who practise Stoicism today, coping with illness and other adversities, and of how Stoicism can be helpful in many areas of modern life, from cultivating calm in the online world to contributing new solutions to the environmental crisis. 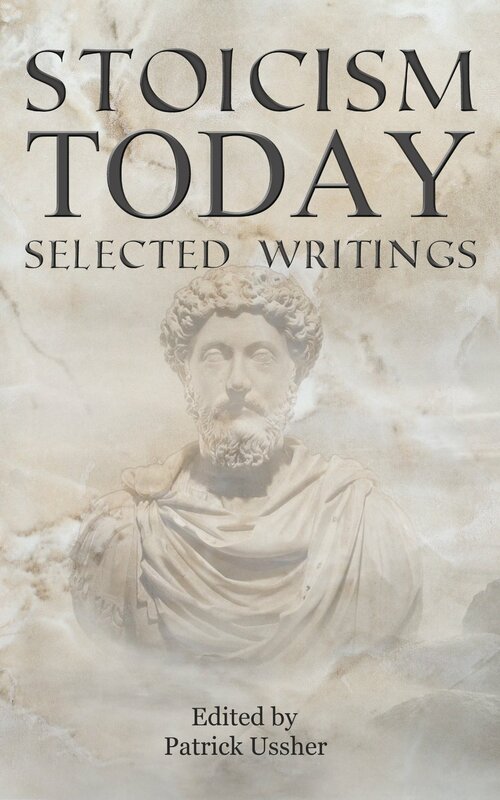 Stoicism Today, edited by Patrick Ussher. From Stoic ethics to emotions, from Stoic mayors and mindfulness to practical philosophy, parenting, psychotherapy and prisons, from Star Trek and Socrates to Stoic lawyers, literature and living in general, this book brings together a wide-ranging collection of reflections on living the Stoic life today. You’ll read advice on coping with adversity, reflections on happiness and the good life and powerful personal testimonies of putting Stoicism into practise. But you’ll also read about the links between Stoicism and psychotherapy, Stoicism and mindfulness meditation and the unexpected places Stoicism can pop up in modern culture. 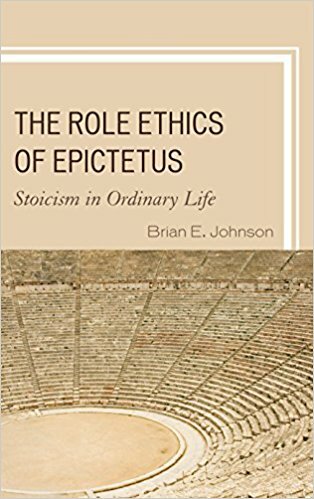 The Role Ethics of Epictetus: Stoicism in Ordinary Life, by Brian Johnson. This book elucidates the unique features of Epictetus’s role based ethics. First, individuals have many roles and these roles are substantial enough that they may conflict. Second, although Epictetus is often taken to have only a sparse theory of appropriate action (or “duty” in older translations), Brian E. Johnson examines the criteria by which appropriate action is measured in order to demonstrate that Epictetus does have an account of appropriate action and that it is grounded in his account of roles. Finally, Epictetus downplays the Stoic ideal of the sage and replaces that figure with role-bound individuals who are supposed to inspire each of us to meet the challenges of our own roles. Instead of looking to sages, who have a perfect knowledge and action that we must imitate, Epictetus’s new ethical heroes are those we do not imitate in terms of knowledge or action, but simply in the way they approach the challenges of their roles. 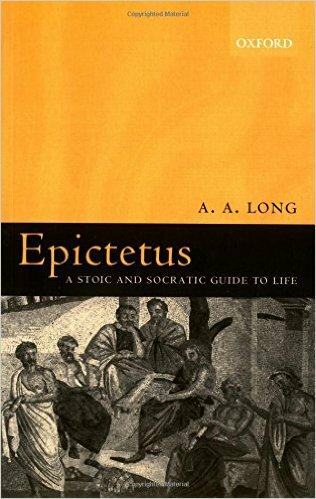 Epictetus: A Stoic and Socratic Guide to Life, by Anthony Long. The philosophy of Epictetus, a freed slave in the Roman Empire, has been profoundly influential on Western thought: it offers not only stimulating ideas but practical guidance in living ones life. A.A. Long, a leading scholar of later ancient philosophy, gives the definitive presentation of the thought of Epictetus for a broad readership. Longs fresh and vivid translations of a selection of the best of Epictetus discourses show that his ideas are as valuable and striking today as they were amost two thousand years ago. The translations are organized thematically within the framework of an authoritative introduction and commentary, which offer a way into this world for those new to it, and illuminating interpretations for those who already know it. This is a book for anyone interested in what we can learn from ancient philosophy about how to live our lives. The Stoic Sage: The Early Stoics on Wisdom, Sagehood and Socrates, by René Brouwer. After Plato and Aristotle, the Stoics, from the 3rd century BCE onwards, developed the third great classical conception of wisdom. This book offers a reconstruction of this pivotal notion in Stoicism, starting out from the two extant Stoic definitions, ‘knowledge of human and divine matters’ and ‘fitting expertise’. It focuses not only on the question of what they understood by wisdom, but also on how wisdom can be achieved, how difficult it is to become a sage, and how this difficulty can be explained. 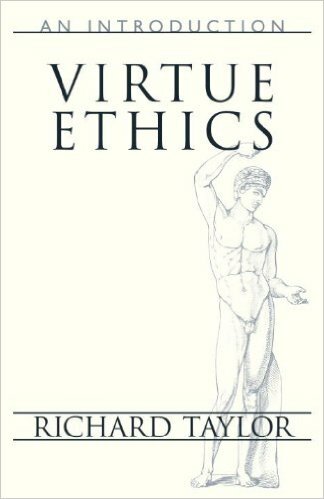 Virtue Ethics, by Richard Taylor. In this fresh evaluation of Western ethics, noted philosopher Richard Taylor argues that philosophy must return to the classical notion of virtue as the basis of ethics. To ancient Greek and Roman philosophers, ethics was chiefly the study of how individuals attain personal excellence, or “virtue,” defined as intellectual sophistication, wisdom, strength of character, and creativity. Taylor points out that the ancients rightly understood the ultimate concern of ethics to be the search for happiness, a concept that seems to have eluded contemporary society despite unprecedented prosperity and convenience. 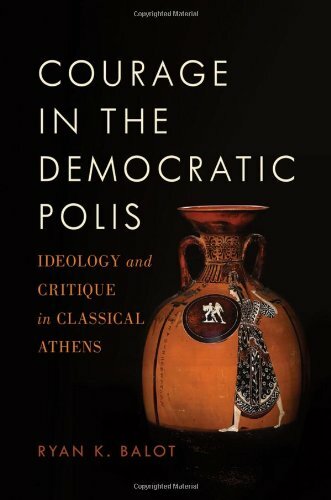 Courage in the Democratic Polis: Ideology and Critique in Classical Athens, by Ryan K. Balot. In this careful and compelling study, Ryan K. Balot brings together political theory, classical history, and ancient philosophy in order to reinterpret courage as a specifically democratic virtue. Ranging from Thucydides and Aristophanes to the Greek tragedians and Plato, Balot shows that the ancient Athenians constructed a novel vision of courage that linked this virtue to fundamental democratic ideals such as freedom, equality, and practical rationality. The Therapy of Desire: Theory and Practice in Hellenistic Ethics, by Martha C. Nussbaum. The Epicureans, Skeptics, and Stoics practiced philosophy not as a detached intellectual discipline, but as a worldly art of grappling with issues of daily and urgent human significance: the fear of death, love and sexuality, anger and aggression. Like medicine, philosophy to them was a rigorous science aimed both at understanding and at producing the flourishing of human life. In this engaging book, Martha Nussbaum examines texts of philosophers committed to a therapeutic paradigm — including Epicurus, Lucretius, Sextus Empiricus, Chrysippus, and Seneca — and recovers a valuable source for our moral and political thought today. Meditations, by Marcus Aurelius, translation by Gregory Hayes. Few ancient works have been as influential as the Meditations of Marcus Aurelius, philosopher and emperor of Rome (A.D. 161–180). A series of spiritual exercises filled with wisdom, practical guidance, and profound understanding of human behavior, it remains one of the greatest works of spiritual and ethical reflection ever written. 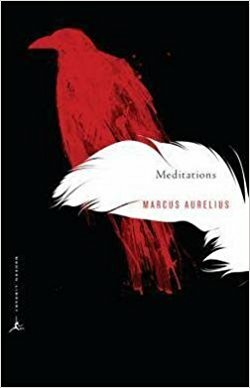 Marcus’s insights and advice—on everything from living in the world to coping with adversity and interacting with others—have made the Meditations required reading for statesmen and philosophers alike, while generations of ordinary readers have responded to the straightforward intimacy of his style. For anyone who struggles to reconcile the demands of leadership with a concern for personal integrity and spiritual well-being, the Meditations remains as relevant now as it was two thousand years ago. In Gregory Hays’s new translation—the first in thirty-five years—Marcus’s thoughts speak with a new immediacy. 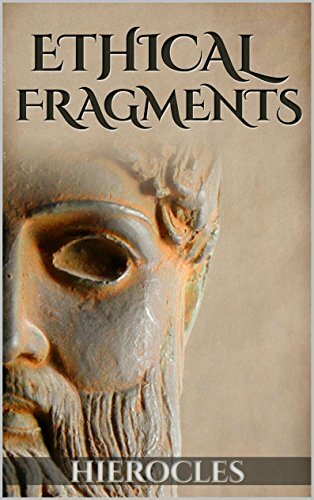 In fresh and unencumbered English, Hays vividly conveys the spareness and compression of the original Greek text. Never before have Marcus’s insights been so directly and powerfully presented. 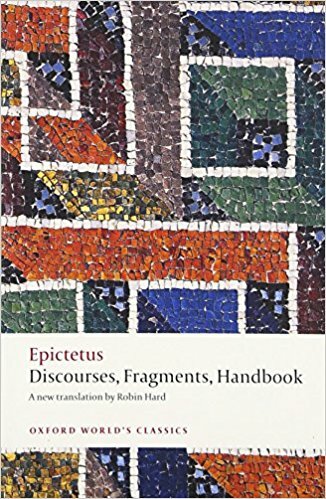 Discourses, Fragments, Handbook, by Epictetus (Oxford Worlds Classics), translation by Robin Hard. Epictetus’ Discourses have been the most widely read and influential of all writings of Stoic philosophy, from antiquity onwards. They set out the core ethical principles of Stoicism in a form designed to help people put them into practice and to use them as a basis for leading a good human life. Epictetus was a teacher, and a freed slave, whose discourses have a vivid informality, animated by anecdotes and dialogue. Forceful, direct, and challenging, their central message is that the basis of happiness is up to us, and that we all have the capacity, through sustained reflection and hard work, of achieving this goal. They still speak eloquently to modern readers seeking meaning in their own lives. This is the only complete modern translation of the Discourses, together with the Handbook or manual of key themes, and surviving fragments. Robin Hard’s accurate and accessible translation is accompanied by Christopher Gill’s full introduction and comprehensive notes. 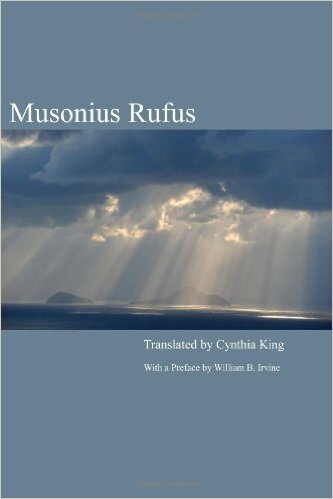 Letters on Ethics: To Lucilius, translated by M. Graver and A.A. Long, University of Chicago series. The Roman statesman and philosopher Seneca recorded his moral philosophy and reflections on life as a highly original kind of correspondence. Letters on Ethics includes vivid descriptions of town and country life in Nero’s Italy, discussions of poetry and oratory, and philosophical training for Seneca’s friend Lucilius. This volume, the first complete English translation in nearly a century, makes the Letters more accessible than ever before. Seneca uses the informal format of the letter to present the central ideas of Stoicism, for centuries the most influential philosophical system in the Mediterranean world. His lively and at times humorous expositions have made the Letters his most popular work and an enduring classic. 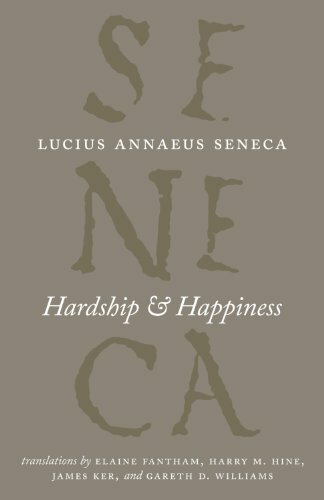 Hardship and Happiness, by Lucius Annaeus Seneca, University of Chicago series. Hardship and Happiness collects a range of essays intended to instruct, from consolations—works that offer comfort to someone who has suffered a personal loss—to pieces on how to achieve happiness or tranquility in the face of a difficult world. Includes: Consolation to Marcia, Consolation to Helvia, Consolation to Polybius, On the Shortness of Life, On the Constancy of the Wise Person, On Tranquillity of Mind, On Leisure, On the Happy Life, and On Providence. 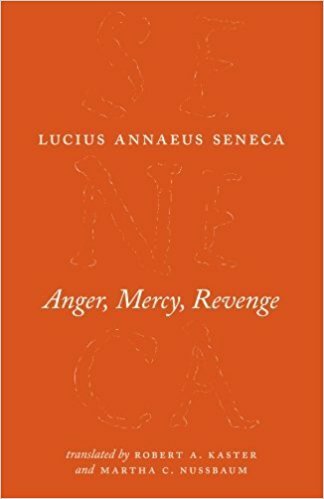 Anger, Mercy, Revenge, by Lucius Annaeus Seneca, University of Chicago series. Anger, Mercy, Revenge comprises three key writings: the moral essays On Anger and On Clemency—which were penned as advice for the then young emperor, Nero—and the Apocolocyntosis, a brilliant satire lampooning the end of the reign of Claudius. Friend and tutor, as well as philosopher, Seneca welcomed the age of Nero in tones alternately serious, poetic, and comic—making Anger, Mercy, Revenge a work just as complicated, astute, and ambitious as its author. 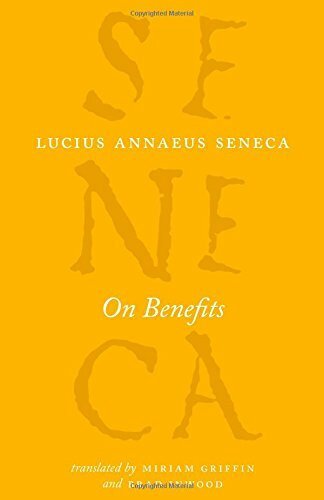 On Benefits, by Lucius Annaeus Seneca, University of Chicago series. On Benefits, written between 56 and 64 CE, is a treatise addressed to Seneca’s close friend Aebutius Liberalis. The longest of Seneca’s works dealing with a single subject—how to give and receive benefits and how to express gratitude appropriately—On Benefits is the only complete work on what we now call “gift exchange” to survive from antiquity. Benefits were of great personal significance to Seneca, who remarked in one of his later letters that philosophy teaches, above all else, to owe and repay benefits well. Ethical Fragments of Hierocles, Preserved by Stobaeus. Little is known about 2nd century Greek Stoic philosopher Hierocles. The only biographical reference to him is from his contemporary Aulus Gellius who describes him as a “grave and holy man.” Hierocles was famous for his Elements of Ethics, a book which was thought to be lost until part of it was discovered in a papyrus fragment at Hermopolis in 1901. The three hundred line fragment discusses self-perception, and argues that all birds, reptiles, and mammals from the moment of birth perceive themselves continuously and that self-perception is both the primary and the most basic faculty of animals. Delphi Complete Works of Cicero. 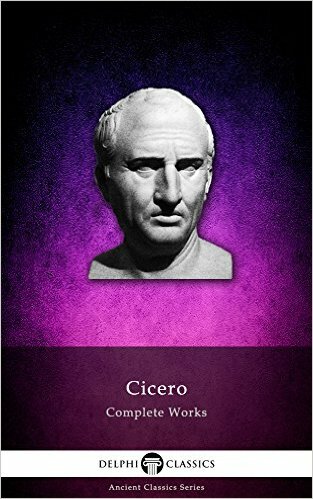 Cicero’s Rome’s greatest orator, Marcus Tullius Cicero was a renowned philosopher and political theorist whose influence upon the history of European literature has been immense. For the first time in digital publishing history, readers can now enjoy Cicero’s complete works in English and Latin on their eReaders, with beautiful illustrations, informative introductions and the usual Delphi bonus material. Especially of relevance to Stoicism are the philosophical treatises, and in particular De Finibus Bonorum et Malorum (About the Ends of Goods and Evils). Lives of the Eminent Philosophers, by Diogenes Laertius. 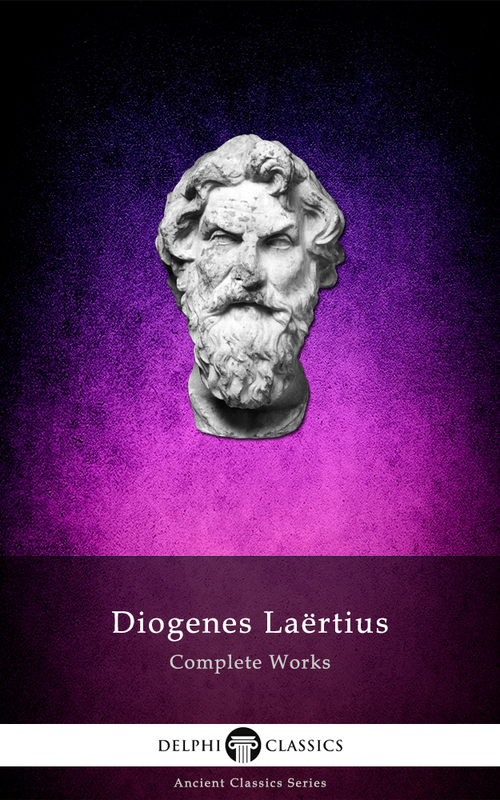 Diogenes Laertius’ compendium on the lives and doctrines of Greek and Italian philosophers ranges over three centuries, from Thales to Epicurus, carefully compiled from hundreds of sources and enriched with numerous quotations. This comprehensive eBook presents Diogenes’ complete extant works, with beautiful illustrations, informative introductions and the usual Delphi bonus material. Translation by R.D. Dicks. 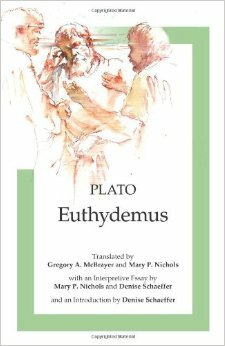 Euthydemus, by Plato. Neglected for ages by Plato scholars, the Euthydemus has in recent years attracted renewed attention. The dialogue, in which Socrates converses with two sophists whose techniques of verbal manipulation utterly disengage language from any grounding in stable meaning or reality, is in many ways a dialogue for our times. This dialogue and the arguments therein were a profound influence on the Stoic concepts of the nature and centrality in life of virtue. Marcus Aurelius: A Guide for the Perplexed, by William O. Stephens. This book is a clear and concise introduction to the Roman Emperor Marcus Aurelius Antoninus. His one major surviving work, often titled ‘meditations’ but literally translated simply as ‘to himself,’ is a series of short, sometimes enigmatic reflections divided seemingly arbitrarily into twelve books and apparently written only to be read by him. For these reasons Marcus is a particularly difficult thinker to understand. His musings, framed as ‘notes to self’ or ‘memoranda,’ are the exhortations of an earnest, conscientious Stoic burdened with the onerous responsibilities of ruling an entire, enormous empire. Stephens lucidly sketches Marcus Aurelius’ upbringing, family relations, rise to the throne, military campaigns, and legacy, situating his philosophy amidst his life and times, explicating the factors shaping Marcus’ philosophy, and clarifying key themes in the Memoranda. Specifically designed to meet the needs of students seeking a thorough understanding of this key figure and his major work, Marcus Aurelius: A Guide for the Perplexed is the ideal guide for understanding this Stoic author — the only philosopher who was also an emperor. 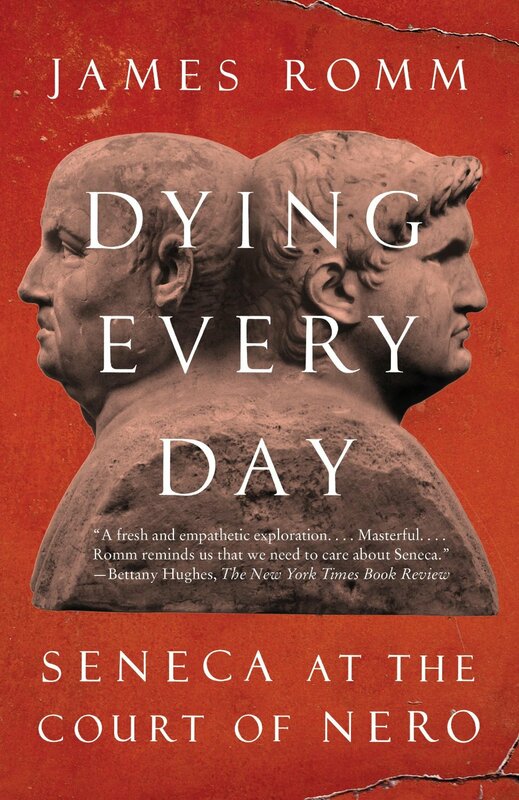 Dying Every Day: Seneca at the Court of Nero, by James Romm. James Romm seamlessly weaves together the life and written words, the moral struggles, political intrigue, and bloody vengeance that enmeshed Seneca the Younger in the twisted imperial family and the perverse, paranoid regime of Emperor Nero, despot and madman. Romm writes that Seneca watched over Nero as teacher, moral guide, and surrogate father, and, at seventeen, when Nero abruptly ascended to become emperor of Rome, Seneca, a man never avid for political power became, with Nero, the ruler of the Roman Empire. Rome’s Last Citizen: The Life and Legacy of Cato, Mortal Enemy of Caesar, by Rob Goodman. Marcus Porcius Cato: aristocrat who walked barefoot and slept on the ground with his troops, political heavyweight who cultivated the image of a Stoic philosopher, a hardnosed defender of tradition who presented himself as a man out of the sacred Roman past ― and the last man standing when Rome’s Republic fell to tyranny. His blood feud with Caesar began in the chamber of the Senate, played out on the battlefields of a world war, and ended when he took his own life rather than live under a dictator. From Villain to Hero: Odysseus in Ancient Thought, by Silvia Montiglio. Best known for his adventures during his homeward journey as narrated in Homer’s Odyssey, Odysseus remained a major figure and a source of inspiration in later literature, from Greek tragedy to Dante’s Inferno to Joyce’s Ulysses. Less commonly known, but equally interesting, are Odysseus’ “wanderings” in ancient philosophy: Odysseus becomes a model of wisdom for Socrates and his followers, Cynics and Stoics, as well as for later Platonic thinkers. 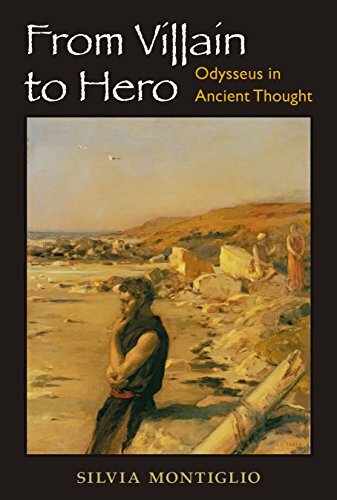 From Villain to Hero: Odysseus in Ancient Thought follows these wanderings in the world of ancient Greek and Roman philosophy, retracing the steps that led the cunning hero of Homeric epic and the villain of Attic tragedy to become a paradigm of the wise man. SPQR: A History of Ancient Rome, by Mary Beard. A sweeping, revisionist history of the Roman Empire from one of our foremost classicists. Ancient Rome was an imposing city even by modern standards, a sprawling imperial metropolis of more than a million inhabitants, a “mixture of luxury and filth, liberty and exploitation, civic pride and murderous civil war” that served as the seat of power for an empire that spanned from Spain to Syria. Yet how did all this emerge from what was once an insignificant village in central Italy? In S.P.Q.R., world-renowned classicist Mary Beard narrates the unprecedented rise of a civilization that even two thousand years later still shapes many of our most fundamental assumptions about power, citizenship, responsibility, political violence, empire, luxury, and beauty. 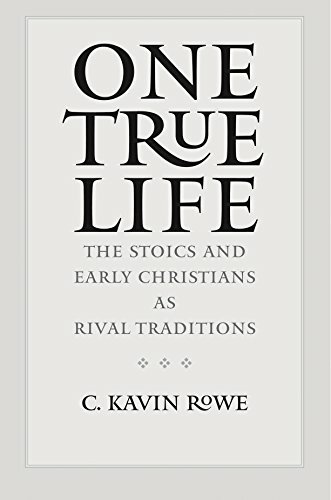 One True Life: The Stoics and Early Christians as Rival Traditions, by C. Kavin Rowe. In this groundbreaking, cross-disciplinary work of philosophy and biblical studies, New Testament scholar C. Kavin Rowe explores the promise and problems inherent in engaging rival philosophical claims to what is true. Juxtaposing the Roman Stoics Seneca, Epictetus, and Marcus Aurelius with the Christian saints Paul, Luke, and Justin Martyr, and incorporating the contemporary views of Jeffrey Stout, Alasdair McIntyre, Charles Taylor, Martha Nussbaum, Pierre Hadot, and others, the author suggests that in a world of religious pluralism there is negligible gain in sampling from separate belief systems. This thought-provoking volume reconceives the relationship between ancient philosophy and emergent Christianity as a rivalry between strong traditions of life and offers powerful arguments for the exclusive commitment to a community of belief and a particular form of philosophical life as the path to existential truth. Greek Buddha: Pyrrho’s Encounter with Early Buddhism in Central Asia, by Christopher I. Beckwith. Pyrrho of Elis went with Alexander the Great to Central Asia and India during the Greek invasion and conquest of the Persian Empire in 334–324 BC. There he met with early Buddhist masters. Greek Buddha shows how their Early Buddhism shaped the philosophy of Pyrrho, the famous founder of Pyrrhonian scepticism in ancient Greece. Beckwith identifies eight distinct philosophical schools in ancient northwestern India and Central Asia, including Early Zoroastrianism, Early Brahmanism, and several forms of Early Buddhism. He then shows the influence that Pyrrho’s brand of scepticism had on the evolution of Western thought, first in Antiquity, and later, during the Enlightenment, on the great philosopher and self-proclaimed Pyrrhonian, David Hume.